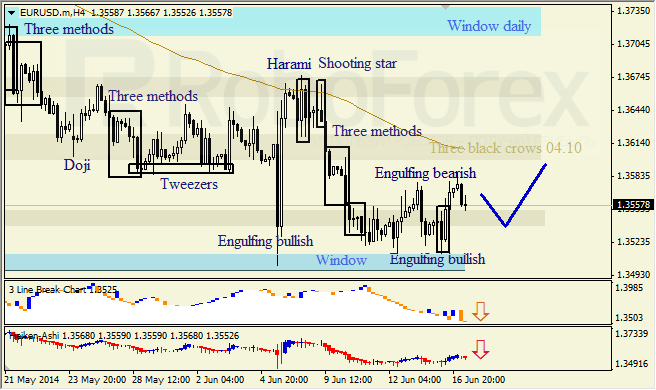 H4 chart of EURUSD we possibly see correctional phase within bearish trend. Window has provided support. Bullish Engulfing pattern indicates possible correction to the upside, Three-Line break and Heiken Ashi candlesticks confirm possible bearish correction. 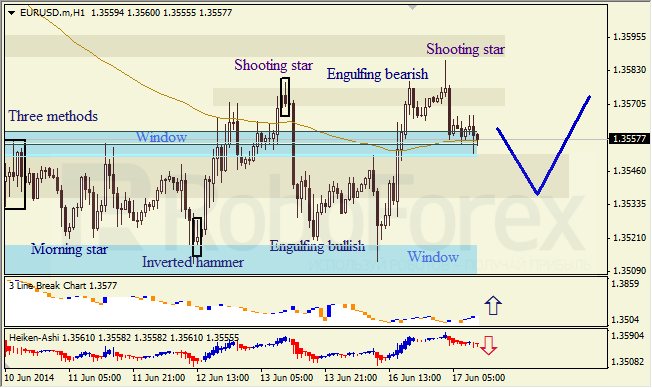 At H1 chart of EURUSD, we see developing correction after Shooting Star. Three-Line break chart shows possible bullish destination. Heiken Ashi candlesticks confirm descending trend. 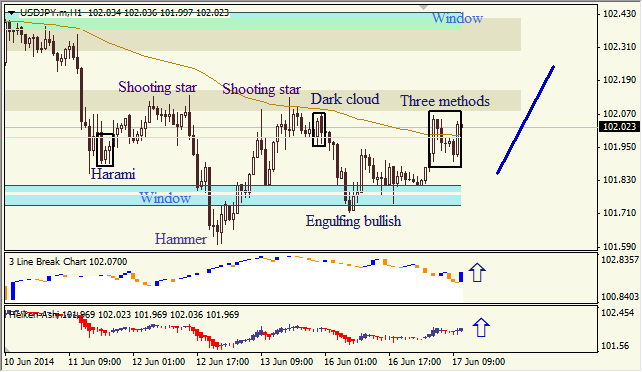 H4 chart of USDJPY indicates support after testing small Window. Piercing line and Belt hold Harami, occurred on the border of the Window, show bullish destination. Heiken Ashi candlesticks confirm it. 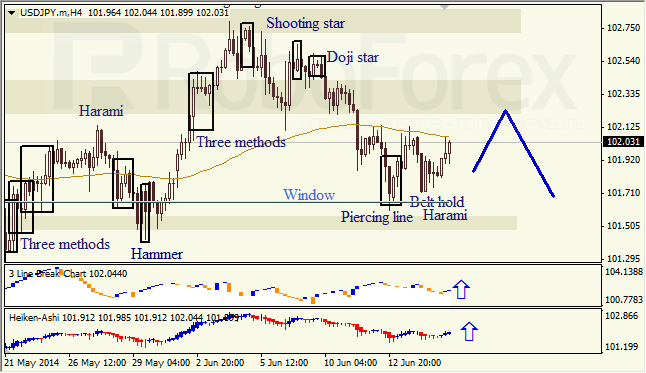 At H1 chart, we can see Three methods continuation pattern, Three-Line break and Heiken Ashi candlesticks. Everything shows ascending impulse.